Lighting is one those elements of your room that is often forgotten and then once you have an excellent source of it, you will wonder how you ever got along without it. 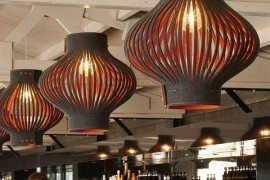 While good lighting is essential for its functionality, the design of the actual fixture is what draws our eye and makes it stand out as a design element of the room. Floor lamps are an essential part of living & family rooms, libraries, and anywhere that sitting and enjoying your home is preferred. 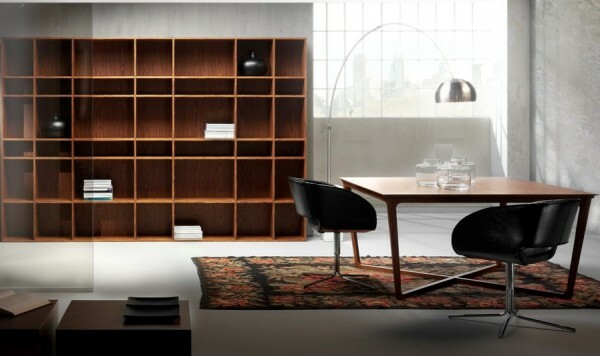 Floor lamps have somewhat reinvented themselves over the years, what used to be strictly functional has turned into a well sought after design element that every homeowner loves to admire in their home. Take a look at these awesome ones. Who remembers back in the 70’s when the classic arching aluminum lamp over the back of sofa was “the” lamp to have? Whether you remember this designer trend or not, it has returned fiercer than when it first hit the interior design stage. Today, the metal lampshade is sleeker, or bolder, or even more minimalistic than it’s previous version. For your couch or sitting area that demands an eclectic focal point, look to the arching or even stick-thin base varieties to show off your conversation seating areas in unforgettable style. 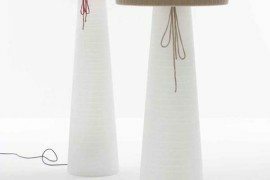 While you may think lamps should just sit in a corner a illuminate their surroundings, floor lamps that are a sculptural piece of art can make your room. 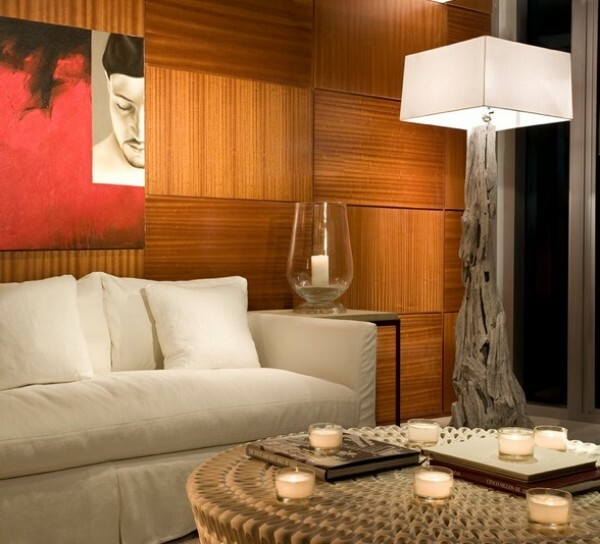 Take a look at this driftwood tree lamp from Arteriors Bodega is a showstopper. Craig Dennis captures this room beautifully in his photography and this lamp is beckoning its homeowners to sit and enjoy the perfect book. Floor lamps can also act multifunctional and double as organization, display and more. 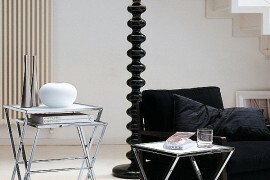 Take this Diego Floor lamp that doubles as a side table with its sculptural form. 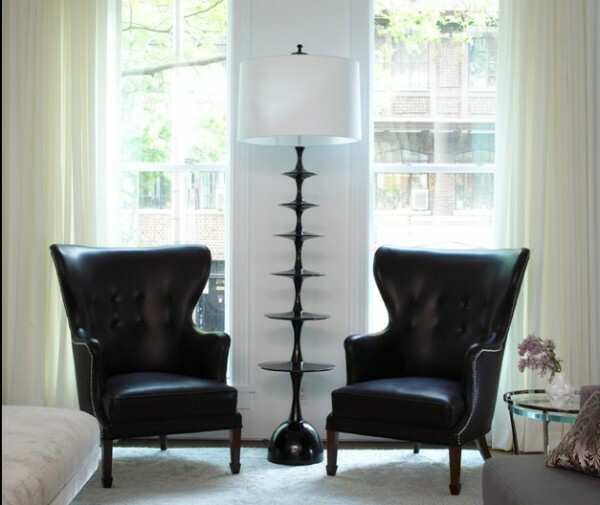 The Jarlath Mellett residence showcases this one-of-a-kind lamp with style and elegance. 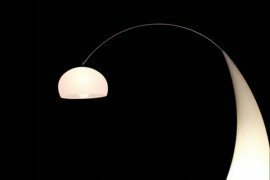 How can your floor lamp command attention? 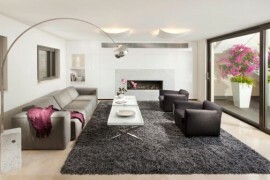 Don’t be afraid to express your personal style with floor lamps. The beauty of these functional design elements is the opportunity to let yourself shine through. From sleek and modern to eclectic and traditional, there is no limit to the design styles available in floor lamp options. Don’t just put floor lamps in your living and family room, consider putting them in unexpected locations – a large foyer with a welcoming seat may be just the spot for a dynamic floor lamp, like this one by Meyer & Meyer, Inc. creates a stunning addition to this beautiful entrance. Floor lamps are a great conversation starter while still creating the soft glow of illumination that is important for any sitting area. 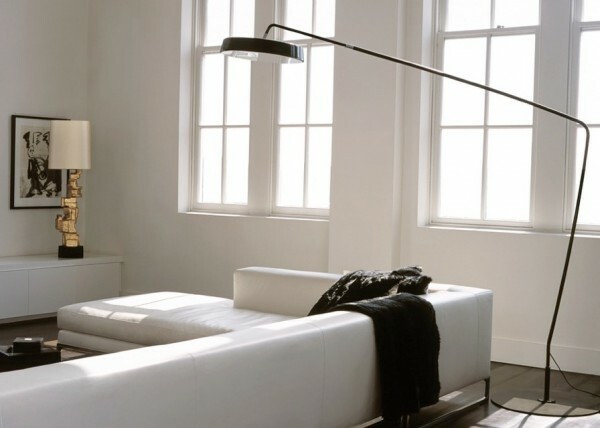 While floor lamps certainly aren’t new, the ‘reinvention’’ of these designer fixtures comes in their styling and unique ability to captivate anyone enjoying the space.